1100 Mitchell LN, Pea Ridge, AR.| MLS# 1101477 | Garfield Beaver Lakefront and Resort Homes for Sale and Northwest Arkansas homes representing buyers and home sellers for all of your real estate needs. Free MLS property search. 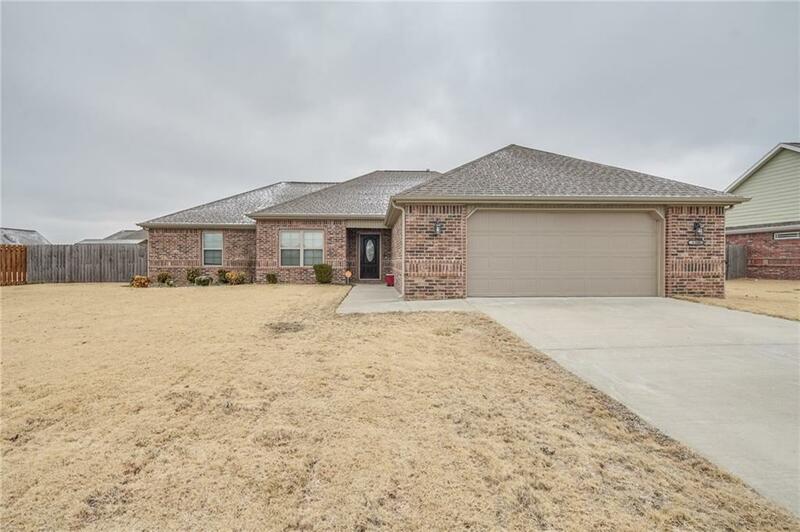 Beautiful brick home in a great neighborhood and desirable/convenient location close to schools, shopping, and minutes from Bentonville!. Living room has tall ceilings, wood flooring, beautiful gas fireplace, and is open to the kitchen. Kitchen has granite counters, stainless steel appliances, eat-in, pantry, tiled back-splash and glass cook-top. Large master bedroom with his & hers walk-in closets, dual granite vanity, separate jetted tub and walk-in shower. Bonus room. Great mudroom area off the laundry room. Huge backyard with privacy fence and covered patio to grill out. Split floorplan. Come see this awesome home right in the heart of Pea Ridge! Won't last long!